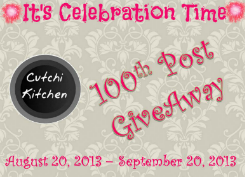 Today I am writing my 400th post ...after 2 yrs and 8 months of blogging I reached this milestone. It all started as a mere time pass and it has grown into something that is a part of me now. Yes..I am taking about this little humble blog. Looking back, it has been very interesting more than 2 years, a lots of learning and some mistakes. But overall, enjoying the journey thus far. I never knew I even had love for cooking until I started this little space of mine. Blogging has helped me grow as a cook and at the same time, I find myself more knowledge and to know many people and gain some friends. I am expressing my heartfelt thanks to all of you as it would not be possible to come so far without your sincere supports, encouragements, comments and suggestions. Tommorrow is Ganesh Chaturthi is also known as Vinayak Chaturthi is the Hindu Festival of Lord Ganesha, the son of Shiva and Parvati. 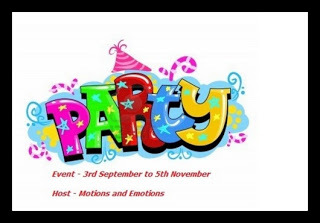 It is celebrated as the birthday of Lord Ganesha. Ganesha is widely worshipped as the god of wisdom, properity and good fortune. 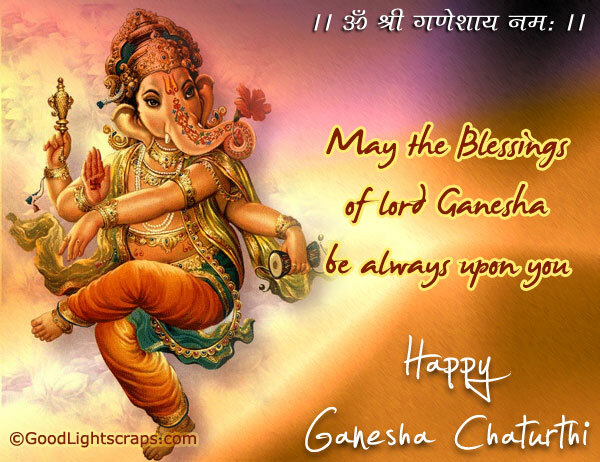 Happy Ganesh Chaturthi to all my Family, Friend & Readers of my blog!!! May the blessing of Lord Ganesha always be upon you. 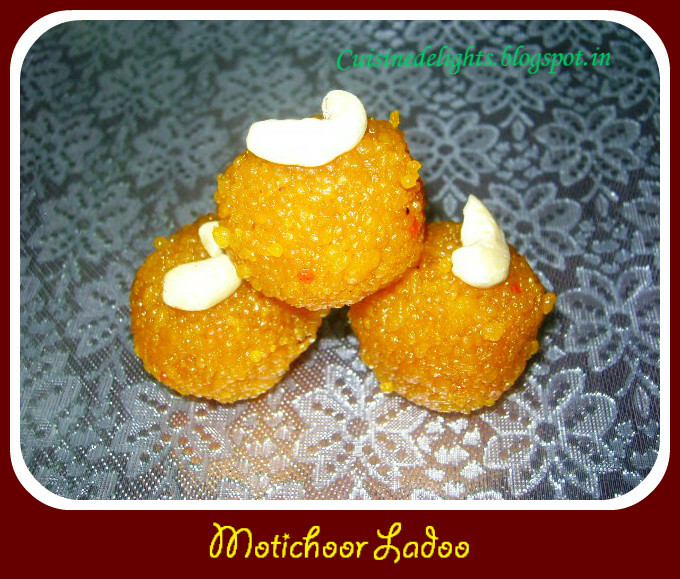 Celebrate this Ganesh Chaturthi & my 400th post with Homemade Bundi/ Motichoor Ladoo. Make the batter ~ Take gram flour and sooji in a mixing bowl. Add in water and mix well to form a smooth batter. The batter should be little thinner. 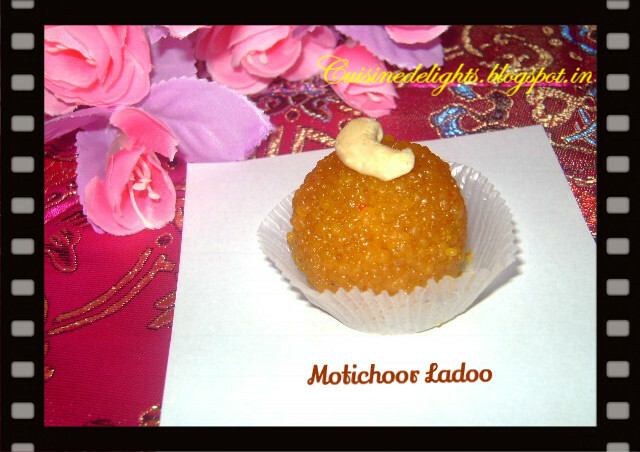 If it is too thick then the boondi won't fall off the ladle and don't make it too thin, the boondi will fall flat. Add in food colouring and mix well. Set aside. Make the sugar syrup ~ Now take sugar and water in a pan. Mix well so the sugar gets dissolves in the water. 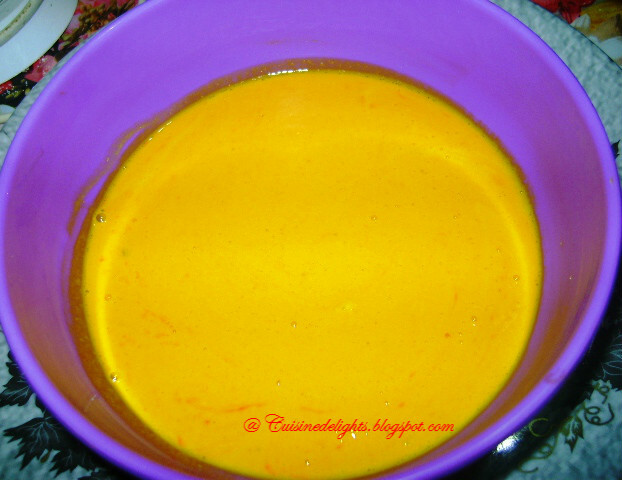 Bring this to boil for 10 minutes in simmer till ir forms one string consistency. Now add in cardamom powder and saffron to this and mix well. Fry the boondi ~ Heat oil for deep frying, don't get it too hot. Now take a boondi ladle. Take the batter and pour it over the ladle. 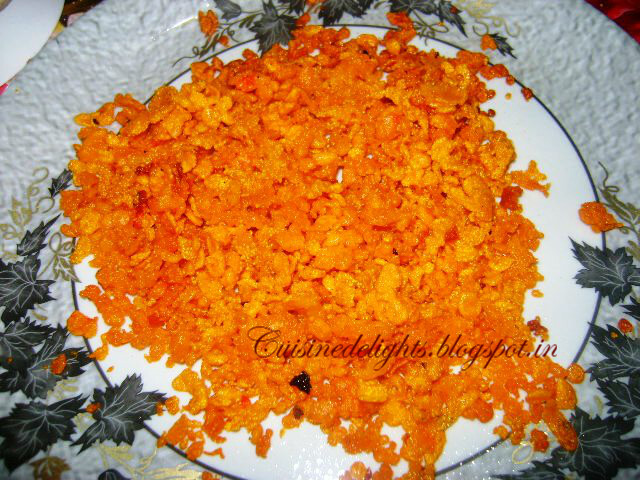 Drop them into the oil like boondi, fry this medium heat for couple of minutes. It should not get crispy, it should be little on the softer. 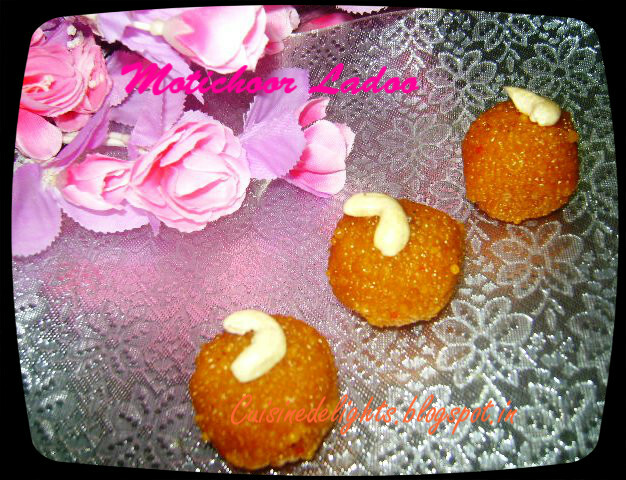 Drain the boondi into the bowl and set aside. Repeat till you finish the batter. 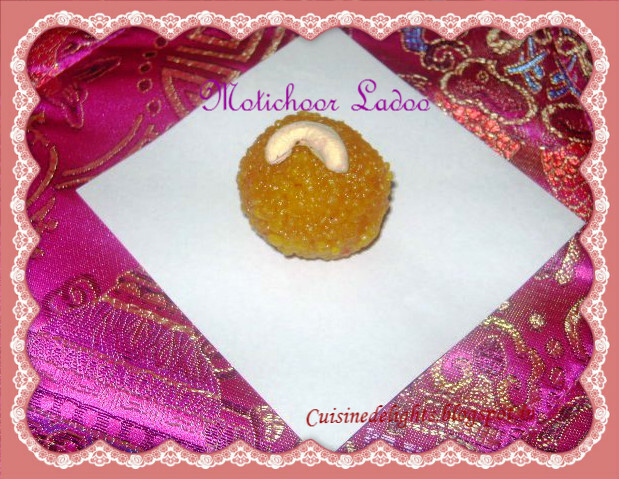 Making Ladoo ~ Now add all the nuts to the boondi and pour the warm sugar syrup over it, mix well. Keep for 10 minutes. Slighly allow the mixture to cool. 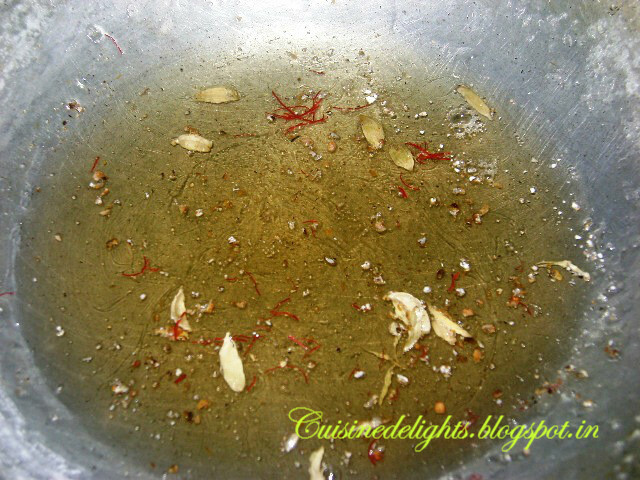 Grease your plams with ghee and take a small portion from it. Shape the syrup soaked boondis into round by pressing gently and arranged them on a plate. 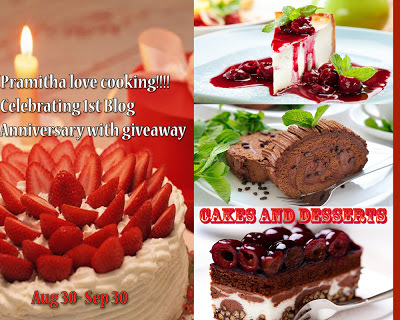 Sending this Pramitha Love Cooking's "Celebrating 1st blog anniversary" event, Recipe Junction's "Spotlight : Raksha Bandhan", Motion and Emotion's "Party" and Cutchi Kitchen's "100th Post Giveaway"